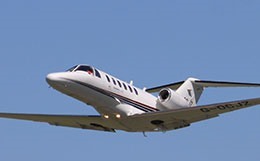 The Citation CJ2+ is an improved version of the CJ2 and by extension, is a modern derivative of countless aircraft that have originated from the very successful and respected Citation Jet series. 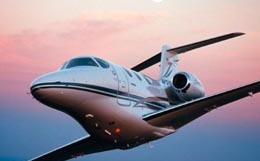 The CJ2+ is a fifth generation Citation Jet, each of which are created with high-performance and economy in mind. 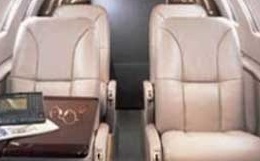 These affordable light business jets are very popular among executives and VIPs who appreciate economical private travel solutions that are reliable as they are efficient. Although some may prefer more complex, elaborate aircraft, Cessna believes that the strength and appeal of their legendary Citation Jet line are in its simplicity and value. The CJ2+ is a significant upgrade over one of the most popular entries in the CJ series, thereby making it one of the most promising value aircraft available in the marketplace. Virtually every aspect of the CJ2 has been improved and optimized. Thus, loyal fans of the Citation line are all but guaranteed to be very pleased with the CJ2+ for their short to medium-range travel solutions. The CJ2+ utilizes two Williams/Rolls-Royce FJ44-3A-24 turbofans, which each provide 2,400 pounds of thrust. The aircraft can take off in just 3,360 feet at sea level and 5,080 feet at altitudes of 5,000 feet. It has a maximum cruising speed of 418 ktas, which it can maintain at its certified flight ceiling of 45,000 feet. It has a digitally-controlled cabin pressurization system to ensure maximum comfort while climbing. Perhaps the most appreciated improvement over the CJ2, the CJ2+ has an impressive maximum range of 1,613 nautical miles, which soundly beats its formidable predecessor. It has average internal dimensions for a Citation jet at 13' 7" cabin length, 4' 10" cabin width, and 4' 9" cabin height, but has been designed to feel roomy and comfortable. The CJ2+ typically carries a maximum of eight passengers, though it has flexibility in terms of accommodating one to two pilots. Altogether, the CJ2+ does not deviate from its time-tested Citation heritage, but it improves upon the economy, efficiency, and performance of its predecessors. Featuring a natural laminar flow wing, newer Citation Jets enjoy much more aerodynamic wing structure, while still maintaining their inexpensive production and operation costs. This is especially notable considering Cessna had difficulties improving older Citation Jets with a straight wing, which reduces production costs, but slows down the jet. Due to Cessna's careful choice of an optimal engine for the CJ2+, it is noticeably fuel-efficient, burning only 140 gallons per hour on average. The resulting operating costs are quite low due to the simplicity and effectiveness of traditional Cessna design philosophy. Its redesigned, fully-integrated Pro Line 21 avionics suite makes the CJ2+ comparatively intuitive and relatively easy to fly. Accordingly, the CJ2+ has the valuable capability of being able to be operated by one pilot, which provides much appreciated versatility and flexibility regardless of the mission. 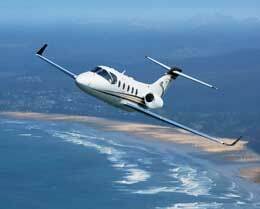 When it comes to producing efficient and economical light jet solutions, nobody does it quite as well as Cessna. For more information about chartering, leasing or buying a Citation CJ2+ please contact us by calling +44-20-3874-8091 or send us an email here.